Whether you need security guards at a fair, concert, car show, craft show, trade show, or any other event Citiguard has the knowledge and staff available. When you get groups of people from different walks of life in the same vicinity, you may need security. 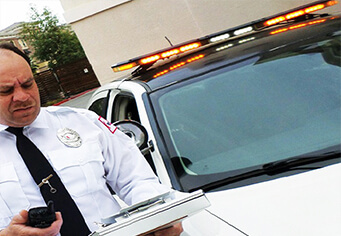 Citiguard has the experience needed to provide the best safety and security guard services. We have armed and unarmed security guards for your special event. Citiguard is fully capable to provide you with professionalism and expertise when providing our security guards to your function. Security protection for special events is a necessity in these times. Secure your event with Citiguard security protection guards, who are highly-trained, experienced, courteous and dependable. Citiguard security protection guards display professional officer demeanor. When planning a special event or gathering, the overall outcome of the event can greatly be affected by having a reputable service to insure the safety and well-being of the guests that may be in attendance. Large upscale weddings, corporate meetings and other social gathers that are noteworthy of media attention should have a professional special events security service in place. Based on your directives and our expertise, Citiguard will assess, customize, develop and enforce the most ideal and cost-effective security procedures. These procedures are designed to maximize the efficiency and effectiveness of your security policies, and are tailored uniquely for your event. We are always glad to take the time to discuss how our security measures would be beneficial to your important affair. You will see that our security measures are discreet and can be implemented with a very minimal amount of inconvenience to your guests. Citiguard security protection guards are fully-licensed and highly-trained, and routinely complete mandatory training in the latest security procedures and technologies. Our guards are always professional, alert, courteous and neat in appearance, and will ultimately help maintain the premium image of your special event. Call today to be protected by Citiguard at your next special event.